The side brackets help you mount your desktop onto the UPLIFT desk base. They are available in black, gray, or white and compatible with two-leg and three-leg UPLIFT 900 Series Desks. 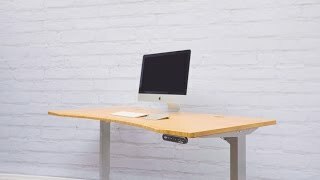 The UPLIFT C-Frame Desk Side Bracket comes in your choice of black, gray or white to match your UPLIFT 2-Leg Desk Frame or UPLIFT 3-Leg Desk Frame. $25.00 List Price: $38.00* The list price is the same as the MSRP (Manufacturer's Suggested Retail Price). It may not necessarily be the price at which the product is sold.